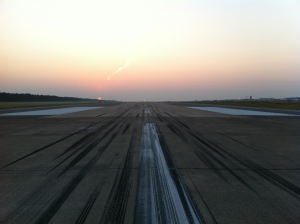 Little Rock Air Force Base, Arkansas | Tigerbrain Engineering, Inc.
Runway 07-25 at Little Rock Air Force Base was built in 1955. The original mission aircraft were B-47E bombers, RB-47 reconnaissance, and KC-97 tankers for the Strategic Air Command. Currently, it is home to 89 C-130 aircraft, including the H and J models. Little Rock AFB is the largest C-130 training base in the world and the runway is 12,000 feet long. Reconstructing the single runway airfield while maintaining full flight mission tempo was crucial to the Base. Training regulations limit landing zone use to advanced student pilots. Therefore, a phasing plan was developed that first built 1000 feet of temporary taxiway at the runway midpoint. 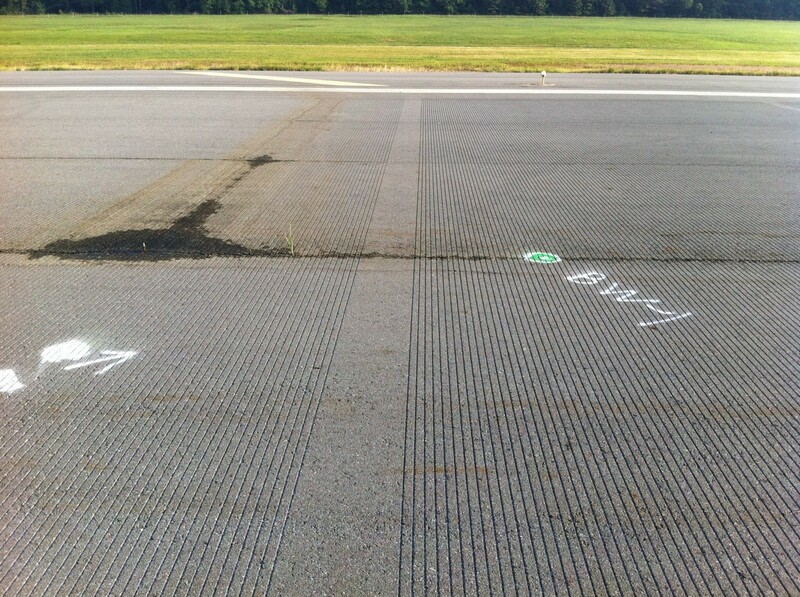 The threshold was then displaced, allowing for half the runway to be reconstructed. For safety, the displaced threshold overrun requires reconstruction within 30 days. 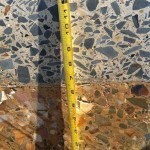 The runway was exhibiting a substantial amount of joint spalls and cracked slabs. Tigerbrain attributed part of the distresses to the heavy wheel loads when the bombers were stationed there; however, that does not explain the continual spalls and slab replacements occurring from the lighter C-130 aircraft. Tigerbrain’s investigation into historic mapping of the 1940’s, long before the Base was constructed, revealed that shale and limestone hills were leveled to create the embankment upon which the runway was built. The misfortune was a historic stream fed by artesian sources was covered by the embankment. Over the years, the artesian water has worked its way into the embankment, converted the shale back into a silty clay and weakened the pavement support. Tigerbrain resolved the issue by crushing the old concrete and using as a drainage blanket/construction platform to intercept the water and redirect to a new underdrain system. In addition to the artesian waters, the project had several other major challenges to overcome. The original runway had a hump in the longitudinal profile, violating pilot line-of-sight criteria. After dozens of scenarios, the best solution was to raise the runway ends and not penetrate into the underlying soft silt and clay. 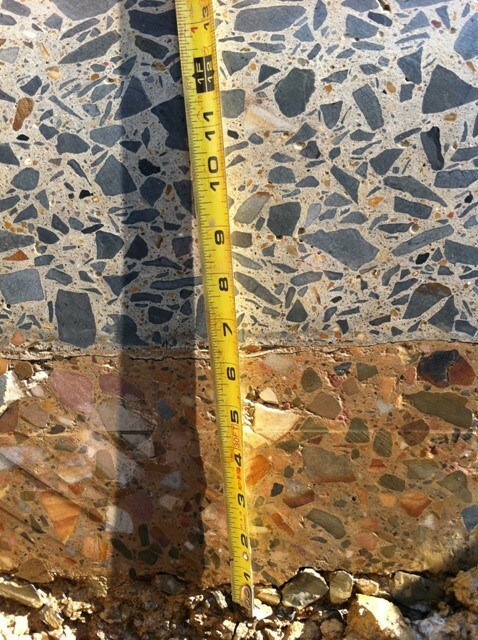 The old concrete was recycled as a drainage blanket to intercept the artesian flow and drain to a redirected stream. Nearly 1 million cubic yards of fill is necessary to raise the runway; Tigerbrain conducted exhaustive test pits in the nearby ridges to explore the sandstone. The cost to remove the overburden shale to quarry the sandstone and restore the site was about the same as off-site material, but posed a greater impact to neighbors outside the Base property. 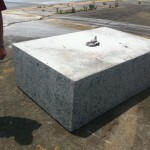 Therefore, off-site material is used. The reconstruction required 82 borings and test pits in the runway, and an additional 32 test pits in the forested hills on Base for potential borrow. Runway access without interrupting flight operations was a challenge. As a training facility, greater airspace and takeoff minimums are required, so access onto the airfield was restricted. The resolution was accomplished through significant coordination with air operations, development of numerous schedules and procedures resulting in pre-drilling and sawcutting at night, and three drill rigs and backhoes over a holiday shut down. Tigerbrain conducted the geotechnical investigation, pavement evaluation, geometric and grading design, airspace studies, obstruction survey and waiver removal analysis, and pavement markings, and the plans, specifications and design report were prepared for the project. Tigerbrain is providing full Title II services with three full time on-site construction inspectors plus field office staff for the 33 month construction effort. The runway width is reduced from 200 feet to 150 feet, and is 16 inches thick to accommodate modified-heavy load criteria for future mission aircraft. The project included associated overruns, five connector taxiways, drainage, and replacement of airfield lighting for Cat I capability in accordance with UFC 3- 535-01, duct bank upgrades, and light vault modifications required to accommodate upgraded equipment. The project includes 143,971 square yards of airfield asphalt paving. 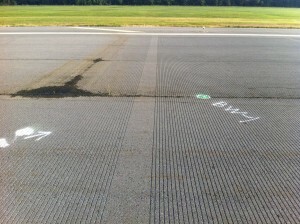 The asphalt shoulders are 3 inches thick and the connector taxiway for airfield access during construction is 5 inches thick. This runway demonstrates Tigerbrain’s tenacity to research the cause of the pavement distresses and its ability to develop effective solutions to mitigate the problems. It further demonstrates Tigerbrain’s ability to assess existing conditions to optimize existing local materials and provide a sustainable pavement. Copyright 2016 Tigerbrain Engineering, Inc.